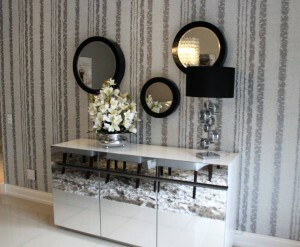 This week we continue to share with you one of our recent projects. 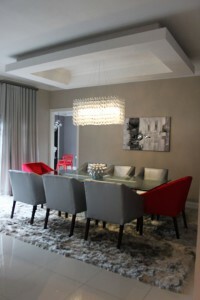 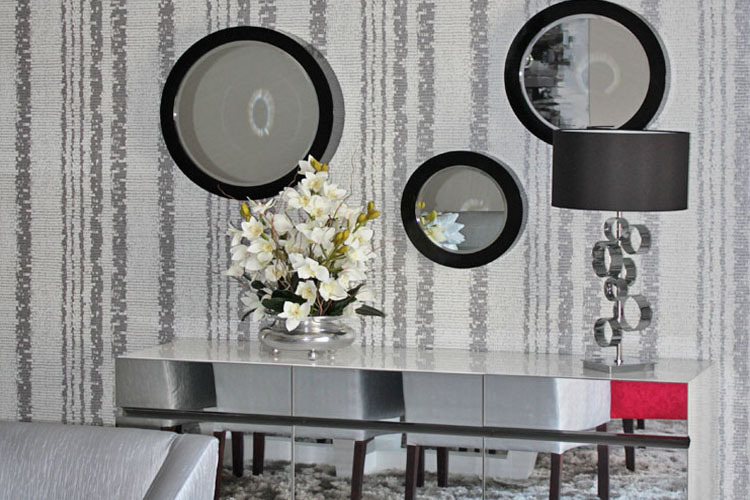 This dining room was given a very modern look with customised furniture. 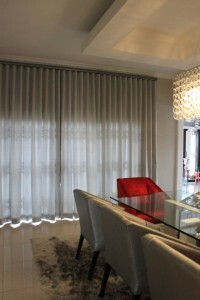 Our clients wanted their home to be in tones of grey and beige but love colour so accent pops were added to the space.